The numbers are staggering...More than 140 million orphans worldwide…15 million children orphaned due to AIDS…500,000 children in America’s foster care system…127,000 children in the US waiting for adoptive homes. The numbers make the problem seem insurmountable, and for any one of us, they are. Yet, there is One who cares deeply — our Father in heaven. There are many ways for you to carry out the call of God to visit and care for orphans. Practical aid from the church community can be hugely helpful and encouraging to Safe Families, Foster Care, and Adoptive Families! Consider household chores, yard work, shopping, giving rides, being a prayer warrior, babysitting, providing a meal and many more. Skilled services can be used in showing love from haircuts to household additions to car repair. We want to find out what families need and do it! It is the little acts of kindness that can make a world of difference. 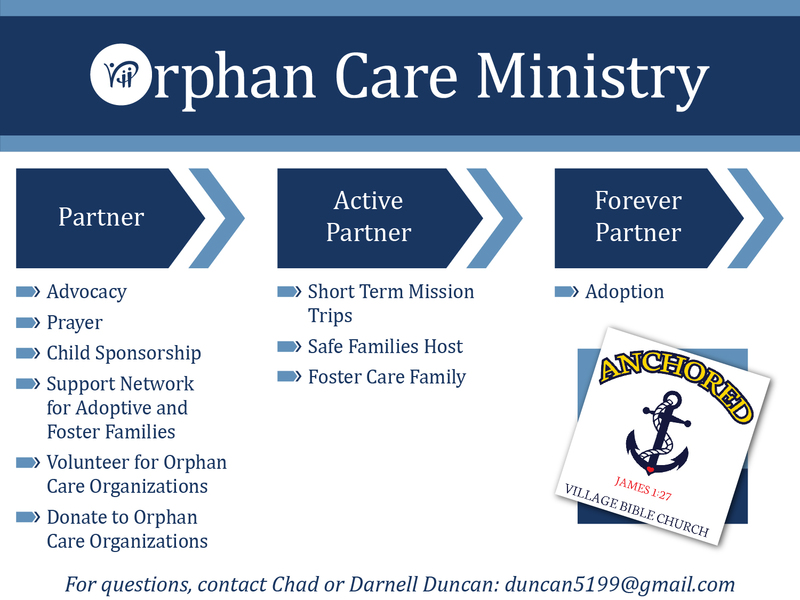 If you have services you would like to use in serving our families, please contact Chad or Darnell Duncan at . Village Bible Church families sponsor over 100 orphans in Uganda through our partner ministry, Juna Amagara. Sponsor: $35 per month provides safe shelter in a loving environment, nutritious food and clean water, clothing and healthcare, and a school education with a Christian foundation. Care: Your child longs to be loved and cherished. Your dollars provide for their physical and educational needs, but your prayers and letters take your sponsorship to the next level. We have teams that go to visit our sponsored children throughout the year and they love to deliver letters on your behalf and bring back stories about your child upon their return. Your child's dream is to one day meet you - the person who cares so much for them. We take a team at least once a year to visit children. Maybe one day you will join us and meet your child face to face! Safe Families for Children provides a loving sanctuary where parents can safely and voluntarily place their children in times of need. 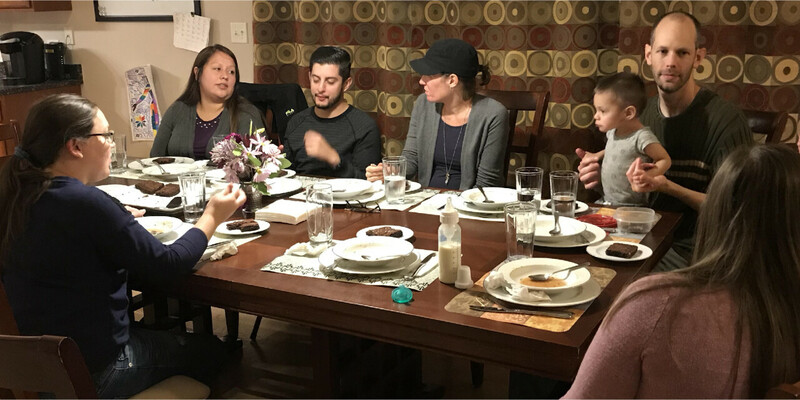 Safe Families is a Christian organization that partners with host agencies, local churches, ministries, as well as community and government agencies to intervene in the lives of children and families that would otherwise be forgotten. Millions of children around the world are in need of a loving family. It's a big commitment that comes with plenty of challenges - but also with many blessings! It's a big journey. We would love to help you explore the possibilities - and walk alongside you in your journey should God lead you to adopt. We also have support groups and hold workshops for families who adopt. We're in this together! For more information, please contact Darnell Duncan at .